More News In Brief: Tetra Pak heirs donate £10m to Royal Academy art school; Metropolitan Museum of Art gives coffin back to Egypt after discovering it had been looted. 40-page formal complaint document has been emailed to the London based museum, recommending that the Science Museum Group ends its relationships with oil giants BP, Shell and Statoil as soon as is legally possible. Survey of cultural workers highlights risks of receiving sponsorship from unethical businesses, with potential issues including damage to an organisation’s reputation, censorship of artwork and ‘artwashing’ to improve public image. A portrait of mother and child wins the BP Portrait Award 2017. 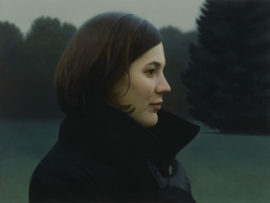 A three-man shortlist for the BP Portrait Award 2017 sees a return of the traditional artists’ muse, as the selected artists depict important women in their lives. 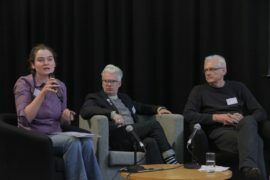 A recent one-day conference in London organised by Julie’s Bicycle explored how arts organisations can act on climate change and environmental sustainability. Jack Hutchinson reports. 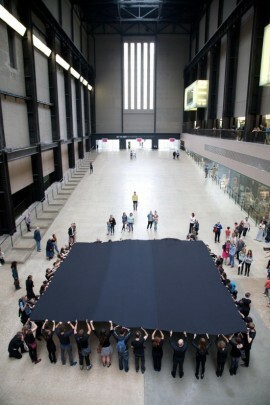 Under the banner ‘Whose Art? 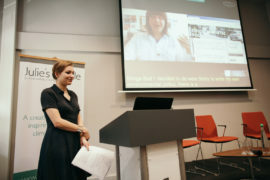 Our Art!’, this year’s engage International Conference in Liverpool explored gallery education through the lens of art activism with two days of speeches, discussion and debate. Laura Harris reports from the city. 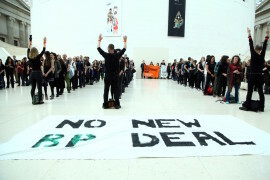 The art-activist campaign group Platform says protests against BP will escalate following the oil giants announcement of new sponsorship deals with the British Museum, Royal Opera House, the National Portrait Gallery and Royal Shakespeare Company. 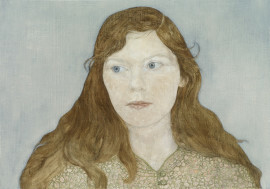 This year’s top prize goes to Clara Drummond for her third BP Portrait Award of the same sitter. A weekly briefing featuring national and international art news. This week includes the latest on Tate/BP sponsorship secrecy, the Japanese artist charged with obscenity, and censorship of the arts in Egypt and Turkey. 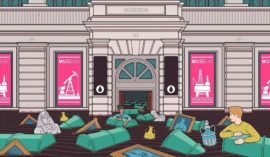 A new report from the Art Not Oil group claims to reveal BP’s influence over exhibition content, events and gallery security procedures, with the Museums Association set to investigate. 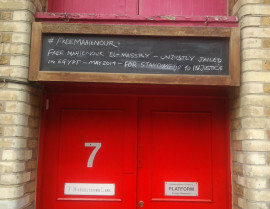 The London-based organisation that has played a key role in campaigning against oil sponsorship of the arts is looking for a new home due to its office rent more than doubling. 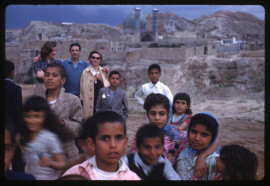 Miranda Pennell’s new 60-minute film, The Host, delves deep into the BP archive to tell a gripping story that examines British colonial history in Iran and the birth of the Anglo-Iranian Oil Company. Chris Sharratt asks the questions. 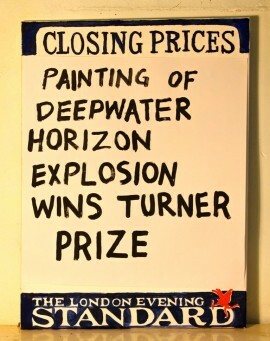 Controversial corporate sponsorship by oil and gas company set to end in 2017, with campaigners calling for other galleries to follow Tate’s example. 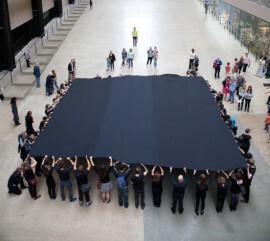 Platform-London’s unauthorised Deadline Festival at Tate Modern, in protest at BP’s sponsorship of the arts, has unsurprisingly been met with restrictions from the venue but its organisers plan to carry on regardless. 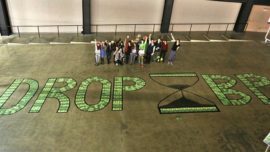 Tate has released figures showing the level of sponsorship it has received from BP from 1990 up to the end of 2006, following a three-year legal battle by campaigners. 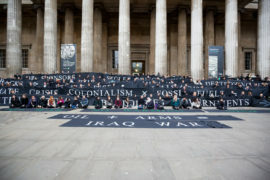 As part of an action by Liberate Tate, Jon Snow, chair of Tate’s Members Council has been presented with an edition of Conrad Atkinson’s The Oil Ship for display in one of the Tate members’ rooms. Stemming from a Freedom of Information request made nearly three years ago about BP’s sponsorship of Tate, next week sees anti-oil sponsorship campaigners and Tate appearing before an Information Tribunal hearing in London. 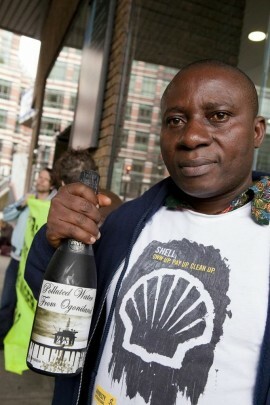 An attempt to give a Champagne bottle full of polluted water to the CEO of Shell is part of a wider campaign against the oil industry’s sponsorship of the arts.